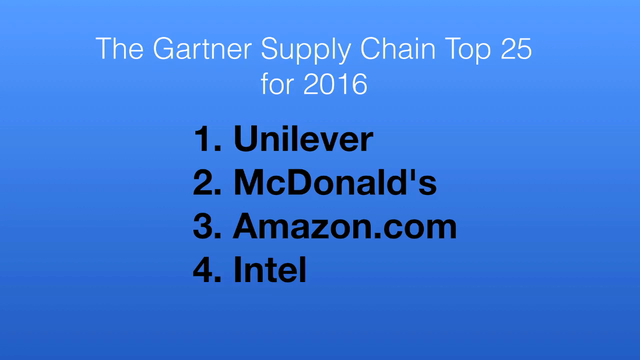 Every year, research firm Gartner announces a list of the Supply Chain Top 25. The ranking identifies leaders and highlights best practices. This year, there was more movement on and off and within the list than usual, due to a new CSR scoring element. Extra points were awarded if companies produced publicly available sustainability reports using accepted standards, and if certain expert third parties recognized their exceptional performance in social and environmental responsibility. For the first time, Unilever scored the number one slot, followed by McDonald’s, Amazon, Intel, and, for the first time on the list, H&M. Five other companies were new additions: Schneider Electric, BASF, and BMW, and after several years, HP and GlaxoSmithKline made it back onto the list. It’s more evidence that a focus on the role of sustainability in supplies chain—and publicly reporting on it—can win peer recognition as well as boost bottom line profits.